Receivership And California Commercial Real Property – Why Appoint A Receiver, and When Can You Do So? Receivers have recently been in the Sacramento news concerning the status of the Senator Hotel, a situation where the loan was in default and the lender had a receiver appointed.. With distressed properties at record levels, an increasing number of Lenders are turning to receivership to help salvage troubled properties. The appointed receiver is an officer of the court and is accountable to the judge. A receiver’s primary duty is to secure the property, prevent waste, and collect rents. In general, the receiver is required to follow the court’s order, which may include specific authority to manage the property, collect rents, and provide monthly accountings. 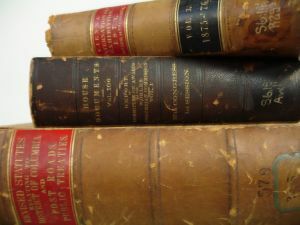 In some instances, the court may grant the receiver authority to enter into leases and position the property for sale. Once appointed, the receiver takes custody of the property, changing locks, securing operating accounts, and retrieving property-related documents from the borrower. The receiver itemizes personal property of the borrower, notify tenants the change in control, transfer of utility bills, place property insurance, hire a third-party management company, maintain or entering into new service contracts with vendors, and other issues concerning the property’s overall operation and security. The receiver must act quickly so that the borrower does not harm the property. Paragraph 2 can create a problem for the lender, however, in that making the argument that the value of the property is less than the loan balance is an admission that the lender ‘s claim is undersecured, with bad results if the borrower ends up filing bankruptcy. It is important that the lender consult with an experienced California Real Estate attorney before proceeding. There is no clear authority for the receiver to sell the property outright, and there are decisions to the contrary. However, appointment of a receiver can go hand in hand with a foreclosure, either by trustee sale or judicial foreclosure sought in the same action as the appointment of the receiver. The receiver can manage and preserve the property and collect the rents while the foreclosure proceeds, which can take a long time in a judicial foreclosure. A benefit under the law is that appointment of a receiver does not run afoul of the “one action” rule (CCP 726) because it is expressly exempted under Civil Code section 2938. Thus, the lender can get hold of the rents and profits without losing their security due to the one action rule. Still of concern, however, is the collection by the receiver of rents already received by the borrower- at some point they can conceivably lose their character as “rents and profits,” and thus taking possession of them could violate 726.